Today – Sunny. 66 degrees. No plans. Loving life. As I continue making art every day for the month of November, I’ve had the bug to play with some fiber. Here are a few of my recent projects. 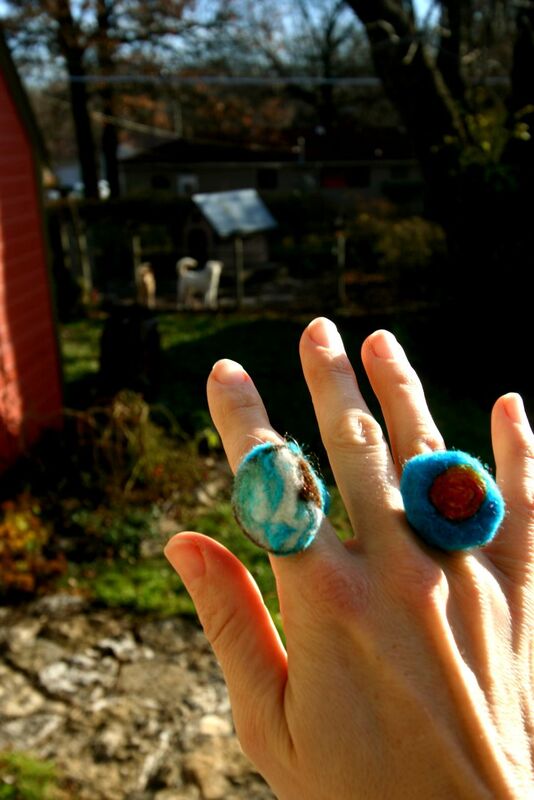 And felted wool rings. I’m excited to make more of these! Your Personal Reflection: What are you creating today? 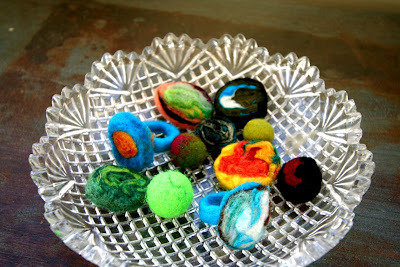 I've seen the process of felting on tv and it looks like a lot of fun, should try it one day! Thank you for your sweet comments to my postings. These are absolutely FUN! I love the creative fun that is going on with the scarf! I can tell you are having fun as you are creating. 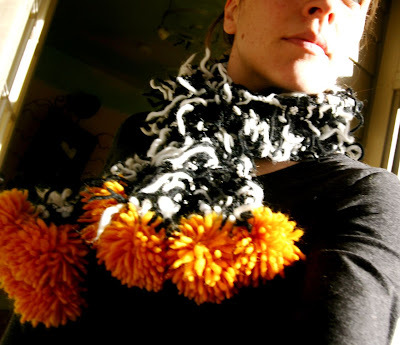 Great scarf and rings! I love playing with fiber. I have been an obsessive knitter for the past 2 years and now needle felting has taken over my life! Today we created sidewalk chalk paint (the post will go out Monday) and a little bit of knitting…working on a skirt for my youngest! Your scarf looks great especially with that splash of orange color, but I truly love the rings. So fun! Oooooooooooooooh, I love love love the rings!!! How fun! 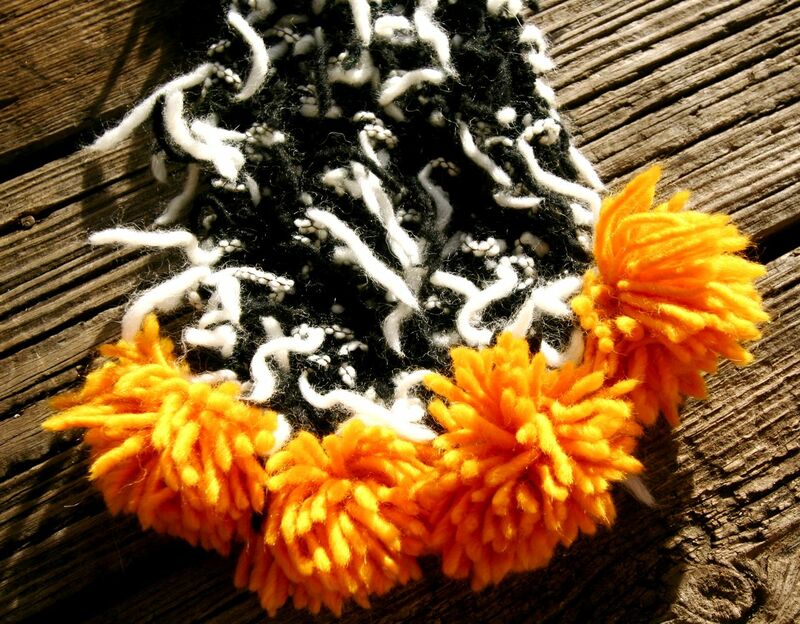 And the orange spishy splash at the ends of the scarf — lovely!! 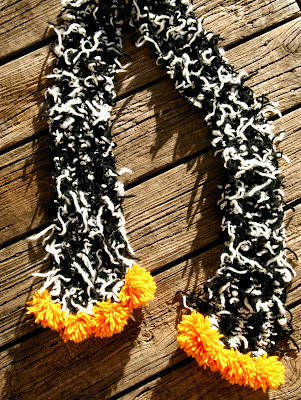 The scarf is great but the rings are a super fantastic idea!